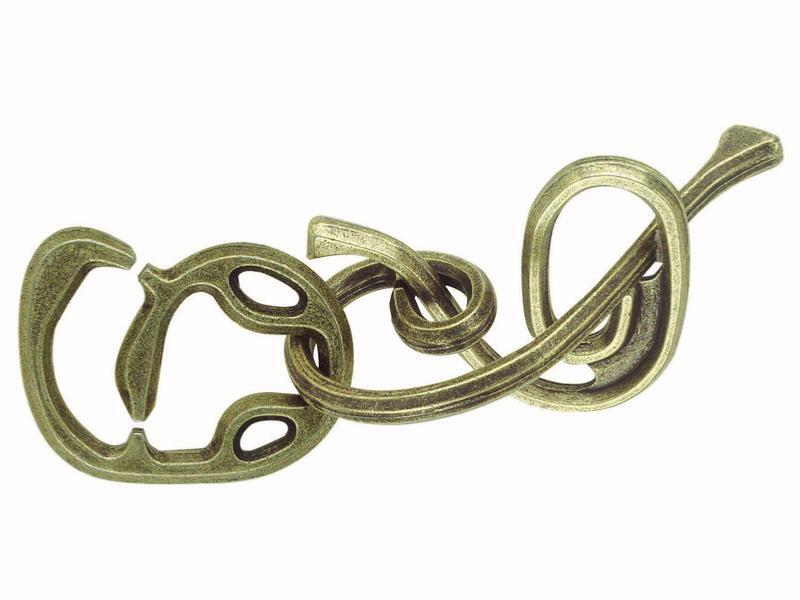 The Japanese company Hanayama have been making a range of cast metal puzzles for over a quarter of a century now. The design of their puzzles is amazing, as is the craftmanship with which they are made. 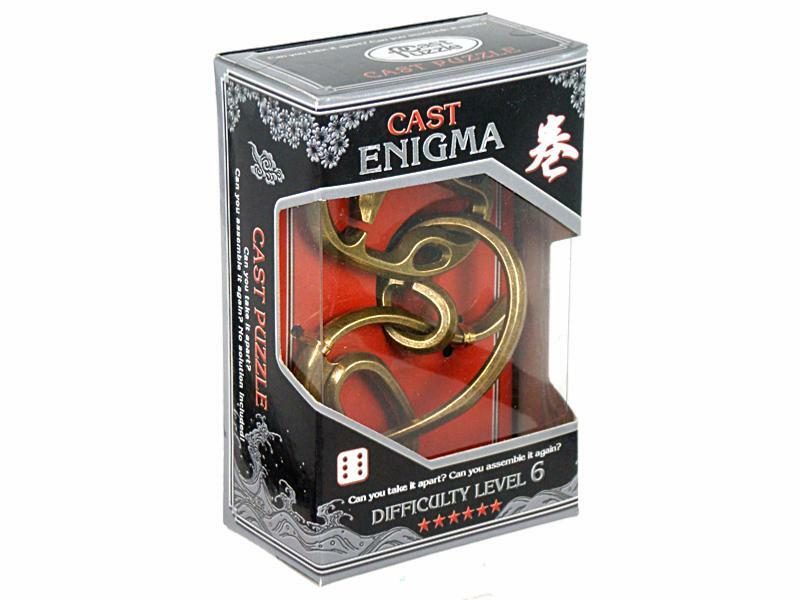 Hanayama make a wide range of cast puzzles. We have just selected a few of our favourites to offer here in the Grand Illusions Toy Shop. Patented in America in 1975, the somewhat swirled pieces of this puzzle by Eldon Vaughn must be disjoined and then put back together. This is without a doubt among the most difficult of all puzzles. The key word is "twist.” Don’t use too much force… the pieces should just slide apart. These puzzles do not come with a solution. However if you visit the distributor website at http://www.eureka-puzzle.eu/eureka/index.php?/all-cast-puzzle-solutions.html and enter the complete barcode found on the box your puzzle came in, you will be able to access the solution.